What Would Atatürk Say – if he came back today? One of the things that impressed me in my first years living and working in Turkey was the seemingly unabashed patriotism in evidence everywhere I looked – pictures of Mustafa Kemal Atatürk, the founder of the Republic in every school classroom and government office; statues of the great man in every public square throughout the land; the national anthem sung with fervour at football matches, public ceremonies and school assemblies; the army held up as the sacred guardian of democracy and secularism; the nation’s flag an object of pride and revered symbol of those who had spilt their blood, even given their lives to establish the Republic of Turkey. For me, coming from a country where the gloss of patriotism had been long since tarnished by the lies of scheming politicians, it was a touching experience to be amongst a people so clearly imbued with such loyalty to their nation and belief in the rectitude of their young republic. I remember, in New Zealand, a time when cinema audiences would stand, as the curtain rose, to a stirring performance of ‘God Save our Gracious Queen!’ Younger generations would hardly imagine that such naïveté was ever possible. That gracious lady was queen, not of New Zealand alone, but of the British Empire, whose star was beginning to fade. The loss of India, embarrassment in Egypt, Iran and Malaya, and the rise to global supremacy of the USA and the USSR, were beginning to push Westminster, London, to the sidelines of world affairs. The threat of nuclear global annihilation, the madness and hypocrisy of the war in Vietnam and a growing awareness of the plight of minority peoples were producing a generation of youth cynical about those in power and not afraid to express their opposition. As New Zealanders remained seated prior to watching the latest exploits of James Bond on cinema screens, the British national anthem was sent happy and glorious to the trashcan of colonial history. Of course, there are those who may still shed a tear for the passing of a great age, which undoubtedly brought benefits to the world as well as harm. So it is understandable that, in Turkey, there are fears in some circles that abolishing the requirement for primary school students to recite the Oath of Turkishness marks the end of Atatürk’s secular experiment, and clearly demonstrates the anti-republican agenda of the incumbent government. But is it really so? The secular republic that Mustafa Kemal and his followers established in 1923 was paradoxically overwhelmingly Muslim in the composition of its population. The imperial ambitions and expansion of its northern and western neighbours over two centuries had seen a huge influx to the Anatolian heartland of Muslim refugees expelled from their ancestral homelands, and the encouragement of nationalist secessionist activities within the Ottoman Empire. 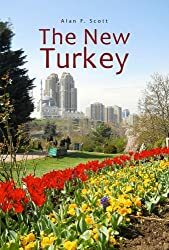 When that empire was fighting vainly for its very existence in the First World War, and shortly after its death republican forces expelled foreign armies of occupation, the continued presence of Christian minorities became virtually untenable outside of cosmopolitan Istanbul. The freedom-fighting spirit that Mustafa Kemal harnessed to fight the invaders was a pragmatic coalition of Turkish nationalists, patriotic Ottomans and proud Muslims of many backgrounds. There was a need to unite against a common enemy that inevitably masked differences which later emerged: indigenous groups (Kurds, Laz, Arabs) and refugee immigrants (Circassian, Crimean Tatar, Greek) with their own distinctive languages and cultures; Muslims who did not identify with the Sunni majority (Alevi); Jews and tiny remaining Christian groups, all of whom, to a greater or lesser extent, found themselves obliged to mouth jingoistic slogans of Turkish nationalism with which they felt little affinity. So the oath that children in schools had been obliged to recite since 1932 has finally been shelved as part of the democratisation package recently introduced by the Turkish parliament. Will that mean the end of secular Turkey? I don’t think so. Mustafa Kemal Atatürk laid down six principles as the foundation stones of his new republic: republicanism, nationalism, secularism, populism, étatism, and reformism/revolutionism. Since his day, the country has been ruled by a ‘secular’ elite. When an elected government strayed too far from the ‘approved’ path, the army could be relied on to step in, remove them and guide the nation back . . . to what? Nationalism is only one-sixth of those six principles – and to retain its integrity in the long-term, the republic must formulate a definition of ‘nation’that is inclusive rather than exclusive. Secularismmeans separation of church (or mosque) and state – it doesn’t mean the abolition of religion. The vast majority of Turkey’s population is Muslim. All democratically elected governments have to pay lip service to this, and most have done far more. Populism means equality, but you don’t have to be long in Turkey to see that there is an unofficial class system lurking not far below the surface, and the military has been intimately bound up with its preservation. Etatism was a mixed economic model that allowed for private enterprise while acknowledging a need for state involvement and oversight – perhaps the ‘Third Way’ that Tony Blah’s New Labour Party in the UK was seeking but never found. Free market capitalists hate it, of course, since it implies state-imposed limits on human greed – and this Kemalist principle fell from favour. What happened to reformism/revolutionism? Successive governments became conservative and used Kemalism/Atatürkçülük as a stick to ensure conformity. Being a true Kemalist, then, is not about hanging his picture on your wall and admiring his steely blue eyes. It does not mean just taking on board the principles that suit your interests and quietly sidelining the others. The words in Atatürk’s Address to Turkish Youth cut two ways – if your fortresses and shipyards are under foreign control it is your duty to rebel and fight. He achieved what he did, founded the republic with vision, determination, popular support and strong leadership. Following him now and in the future means studying his ideas and understanding what he did and why he did it. For one thing, Atatürk recognised that military victory was only the beginning of the new republic’s struggle. In the long-term, all the achievements of the army would be lost without continued economic development and sharing of prosperity amongst all citizens, not just the privileged few. Leadership does not mean sitting comfortably in your palace enjoying the benefits of civilisation while sending others to do the fighting and the dying. Ataturk won the respect of his people and the right to make hard decisions that not everyone agreed with – including many of the privileged elite – by being a leader who led from the front. He was prepared to put his credibility and life on the line. In the 1915 action known in Turkey as Anafartalar, and to Anzacs as Chunuk Bair, he was at the head of his troops setting an example for others to follow, and the fob watch that stopped a fragment of shrapnel from entering his heart is a powerful symbol of this. Atatürk is often called the first teacher of the new republic. He emphasised the importance of education for all, and one of the aims of his alphabet reform was to make literacy more accessible. Everyone knows that the education system in Turkey is in desperate need of a makeover. The state system is seriously underfunded, and allowing the private sector to take up the slack is not the answer. It may quieten the privileged minority who can afford to send their children to private schools, but it does not provide quality education. In the end, the main aim of private business is to maximise profits, which, whatever idealistic slogans are propounded by the owners, translates to bums on seats, window-dressing and reducing teacher salaries, which are always the largest item of expenditure. In recent years the government of Turkey has been pushing ahead with moves to revamp the constitution. These moves have met with considerable resistance from the conservative opposition. From their objections, an outsider might get the impression that the existing constitution was the sacred one written by Atatürk and his brothers-in-arms back in the 1920s – a document akin to the Ten Commandments, set down in stone for all time, infallible and immutable. In fact, the document they so staunchly defend was penned by the generals who carried out the military coup in 1980. It instituted provisions to keep Kurds out of parliament, suppress left wing politics, and used religion and extreme nationalism to gain support for its moves. That constitution is desperately in need of change, but it takes time to carry out serious structural reform in a democratic environment. When criticism comes from both extremes, we may think that the reformers have got it about right. The first necessary change was to pull the teeth of the military who had been the force behind those wishing to retain the status quo. Europe and the US may secretly prefer to deal with dictatorial regimes when doing so simplifies the business of looking after their own interests – but they will never welcome such countries into equal partnership. For Turkey, accepting the result of the ballot box is an important step on the road to establishing a truly democratic republic. The foreign policy of the government is another area in which Turkey comes in for considerable criticism. On the one hand, it is said that Mr Tayyip Erdoğan’s government is in the pocket of the United States, slavishly doing their bidding like a well-trained lapdog. On the other hand, the accusers assert that Turkey is following a Neo-Ottoman path aimed at undoing secular democratic reforms and restoring Islamic Shariah law. It’s hard to imagine that both accusations can be true – although US friendship with the hand-amputating, woman-flogging Wahhabi extremist Muslim Saudi royal family suggests that they have fewer objections to fundamentalist Islamic dictators than they would have us believe. Interestingly, the government of Turkey is about to purchase a new rocket defence system from China. The project was put out to tender and the Chinese bid was not only the lowest, but the Chinese also included in the deal an undertaking to share technological expertise, and help Turkey to carry out much of the manufacturing of hardware within its own borders. Tenders from Western nations (and Russia, whose bid was also passed over) did not include such cooperation. Of course, no country, especially one as strategically located as Turkey, can afford the luxury of divorcing itself from the world’s only superpower. However this government has proved to those with eyes to see that it is by no means in America’s pocket, and is capable of formulating and following its own policies for the good of its own people. A recent news item announced that New Zealand had been visited by several Chinese warships – I wonder what US leaders think of that. NZ, however, unlike Turkey, is far from the highways of geo-politics and strategy, and like a small child, can count on a little parental indulgence. When NZ’s Labour government back in the 70s instituted a ban on nuclear-powered and armed vessels in its waters, the US were naturally peeved, but they lived with it. I wonder if the Chinese vessels currently in Auckland Harbour have nuclear technology on board, or if the Chinese government would let on if they did. Getting back to Atatürk, he sought and received help from Soviet Russia during Turkey’s War of Liberation. Atatürk was not a Communist but he was a realist. The West would divide and annihilate his country. They were supporting the Greek invasion. If the new Soviet state would aid his struggle, he would accept their aid and deal with the consequences later. As far as I understand, there were none. No doubt Turkey’s membership of NATO meant that it had the backing of the US and Western Europe to discourage Soviet incursion during the Cold War – but the West too undoubtedly benefited from Turkey’s large military, and from being able to locate bases on Turkish soil. It wasn’t a one-way street. The second decade of the twenty-first century is shaping to be an interesting one for Turkey. The economy continues to show strong signs of good health and growth. Undoubtedly, political problems in the region continue to pose problems, not only locally, but for the world beyond. Turkey is on the spot. It has a long history of dealing with its neighbours, and Western powers would do well to soft-pedal their criticism and lend an ear to what Turkish spokespersons on foreign policy have to say. As for the people of Turkey, I have heard some express a nostalgic wish for a resurrected Atatürk to return to the nation’s helm. It can’t happen, of course – but I suspect that, if he were looking down from somewhere on high, he would not be totally disappointed with the current state of the republic he founded. İki Mustafa Kemal vardır: Biri ben, et ve kemik, geçici Mustafa Kemal… İkinci Mustafa Kemal, onu “ben” kelimesiyle ifade edemem; o, ben değil, bizdir! Abolishing the Arabic alphabet in favour of a Latin-based one. This entry was posted in Alevi, ANZAC, Atatürk MK, Chunuk Bair, democracy, Kurds, Neo-Ottomanism, New Zealand, Saudi Arabia, Turkish politics, Turkish Republic, USA. Bookmark the permalink.